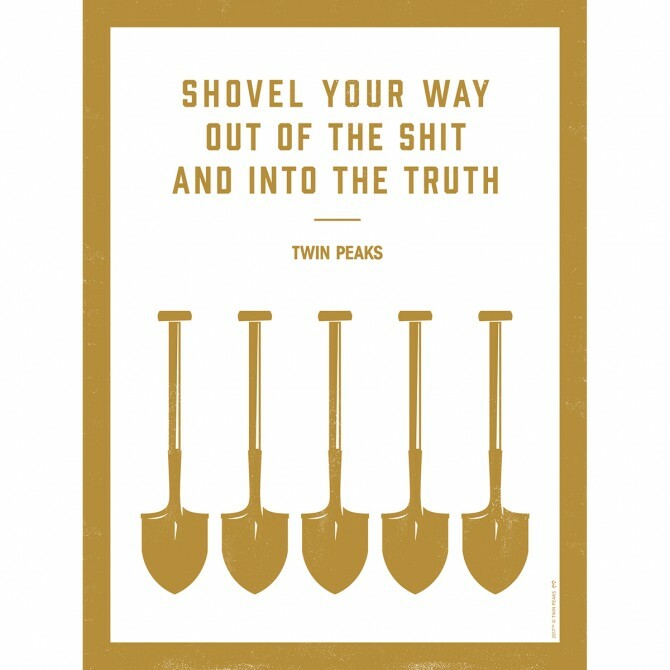 Twin Peaks Shovel Poster (18"x24") perfectly reminds us of the eccentric Dr. Lawrence Jacoby. He was a psychiatrist who was seeing Laura Palmer as a patient prior to her murder. Jacoby's license was revoked following the investigation into Laura's death and years later, he began to host a webcast under the name "Dr. Amp”. 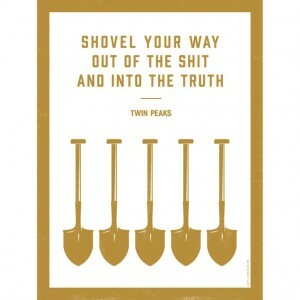 In one broadcast, Dr. Amp advertises his gold shovels to viewers.